Wise song title from Mr Springsteen! Yes, it won’t be easy at the start. In fact, don’t even contemplate just running a casual 5km on your first run. You’ll need to start by walking for part (or even a lot) of it. Most beginners scare themselves off running completely by going too hard, too fast when they start. Don’t do this. The key is to make it enjoyable. 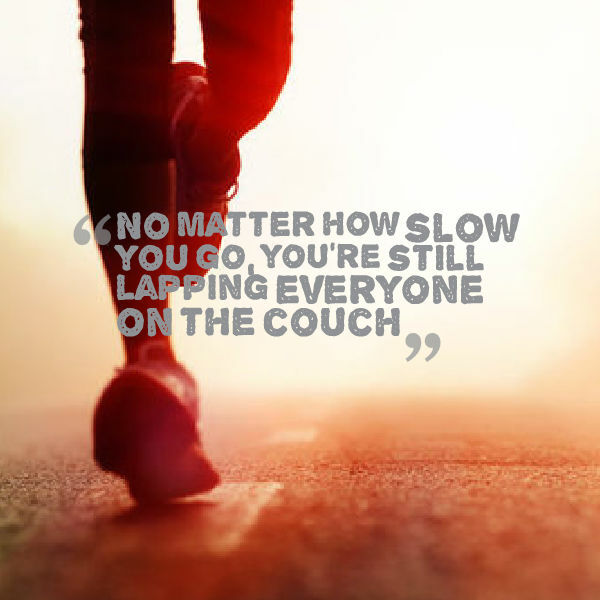 Run at a pace that suits you. If you aren’t going at Paula Radcliffe pace, who cares?! You are outside, doing exercise and becoming healthier. Once you nail that, progress will come naturally. Make running enjoyable – run somewhere off-road and surrounded by nature if possible – the last thing you need to worry about is traffic-ridden roads! Join a running club – not for everyone but running clubs can be great if you don’t enjoy running alone or are lacking motivation to keep going. Also having others around can be a great distraction rather than focusing on any aches along the way! My first run today and I loved it! !